It’s future-proof and it’s flexible. Above all, it’s efficient. 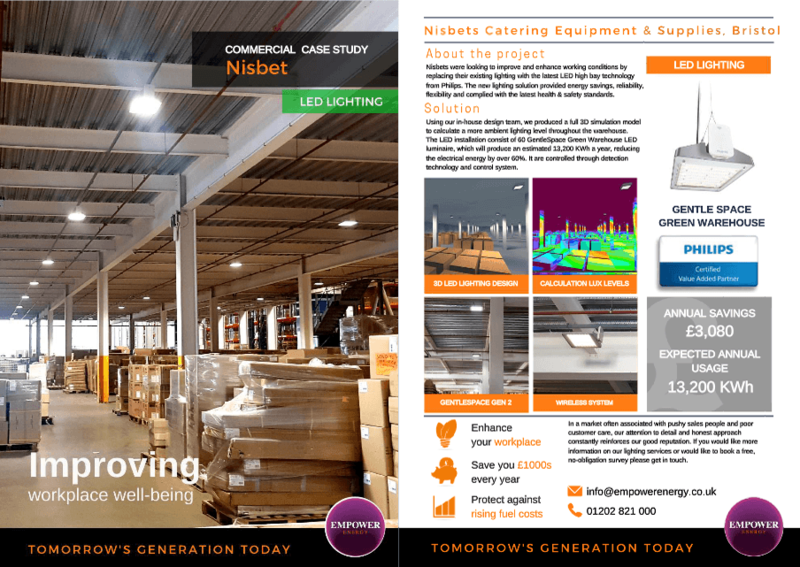 With GreenWarehouse, you can typically save 50% on energy costs compared to non-controlled LED installations with fixed output. That’s because smart lighting systems can anticipate and respond to the changing needs of the people who are using them. And in addition to this greater personalisation, you get to see an increase in productivity and improved safety too. 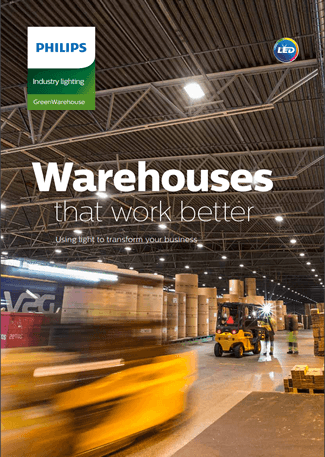 The GreenWarehouse system is fast to implement and easy to install, whether you’re refurbishing your existing operation or developing something entirely new. Now, you really can have your warehouse, your way. 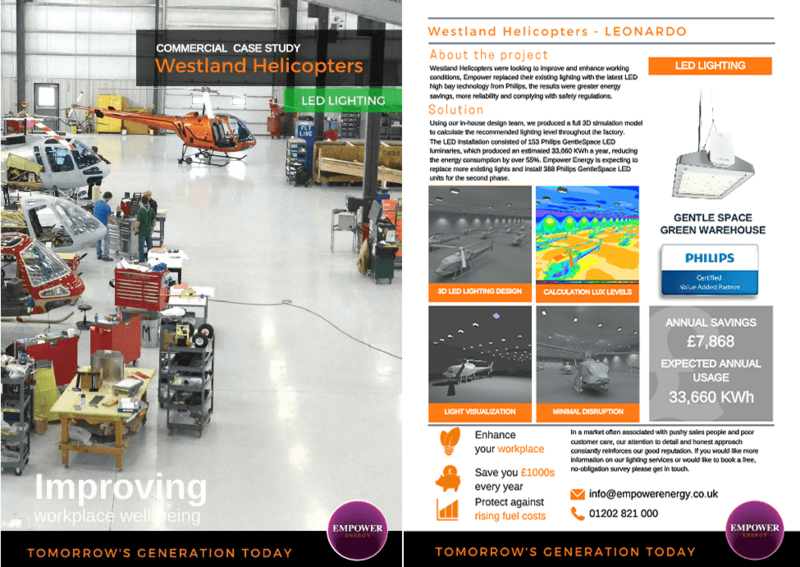 Westlands Helicopters were looking to improve and enhance working conditions, Empower replaced their existing lighting with the latest LED high bay technology. A warehouse isn’t one giant building. It’s a series of individual spaces serving different functions. 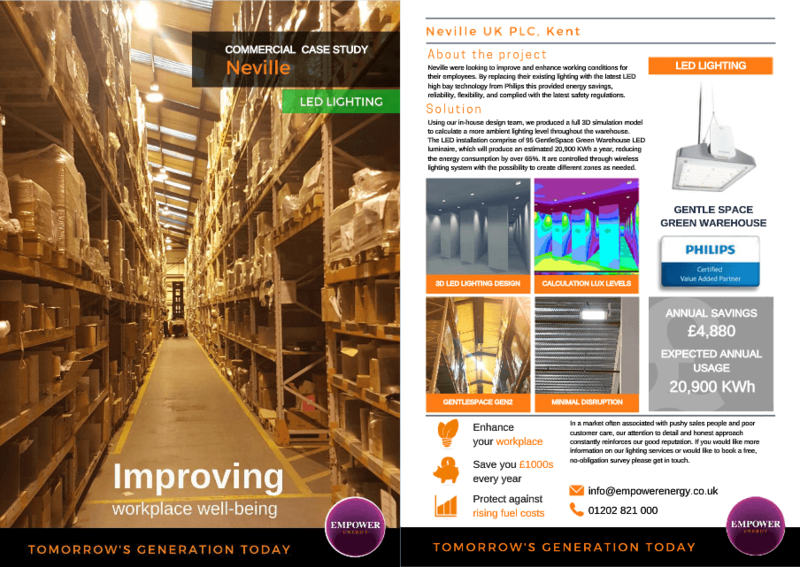 Loading bays, racking areas – they require different lighting and are often in use at different times. 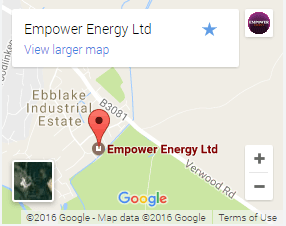 Lighting your Warehouse in it’s entirety, round the clock, just wastes energy and runs up an unnecessary bill. GreenWarehouse is different. 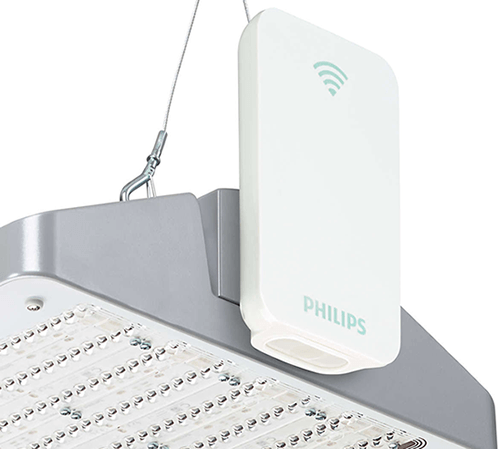 It’s a complete wirelessly controlled lighting system that delivers high-quality light only when and where it’s needed. Your Warehouse can be divided into ‘zones’ or areas. 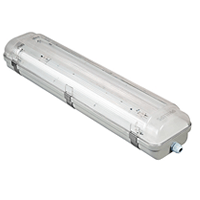 Presence detectors, placed throughout each of the areas trigger full-output lighting when movement is detected in, or approaching that ‘zone’; ensuring people and vehicles can move around the warehouse safely. 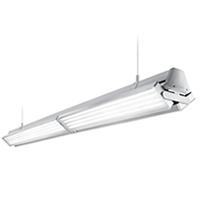 When a space is unoccupied, lighting dims to an energy-saving background lighting level. 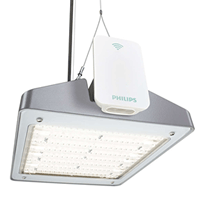 GreenWarehouse lets you illuminate specific areas in a single space by creating lighting zones. The zones ‘group’ luminaires together, so they brighten and dim as one. Configuring zones is really easy – it’s all done via remote control. Create the zones to suit the layout of your warehouse, then set the lighting levels for when a space is occupied and the background lighting level for when it's unoccupied. GreenWarehouse gives you all the flexibility you need. Want to change your warehouse layout? Just re-configure your zones with the remote.